When I was in grad school in San Francisco, my friend Paige and I had regular painting nights in her studio apartment in the Tenderloin. Paige’s apartment was so tiny that in order to have space to do anything, we had put up her Murphy bed and move all the furniture to one corner. Then we’d put a drop cloth on the floor and spread out all of our art supplies and spend the entire evening making art. 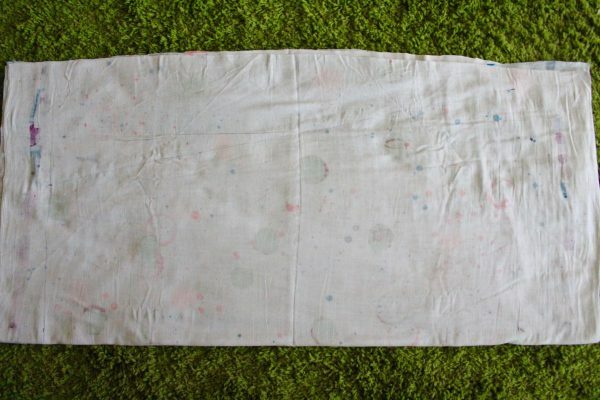 We used the same drop cloth every time we had art night and it almost became a record of the art we made. There were big blue brushstrokes from when Paige cleaned her brush when she was working on a self-portrait. There were chunks of glitter frozen in glue from a collage I made. There were multi-colored paint splatters on pretty much the whole thing. When we moved from San Francisco down to Los Angeles, neither of us could bear to let that drop cloth go. Every once in a while I think about that drop cloth and remember not only all those late nights making art with the sense of creative freedom that I lost when I started making a living selling my work but also of all the art Paige and I both made, most of which neither of us have anymore. 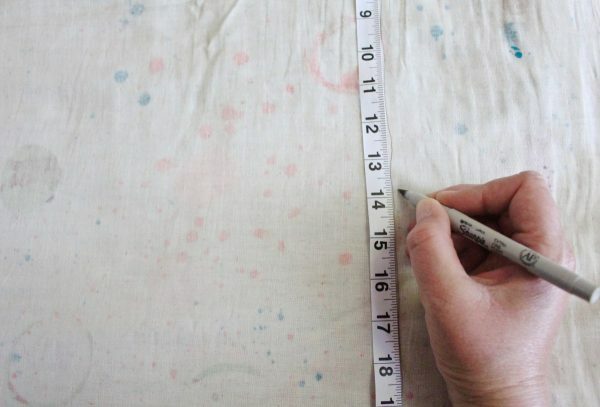 Last week I was in Ventura, California for meetings in preparation for our next Craftcation: Business and Maker’s Conference and I popped into my favorite fabric shop in the area superbuzzy and spotted this amazing Japanese fabric that reminded me of that unforgettable drop cloth. 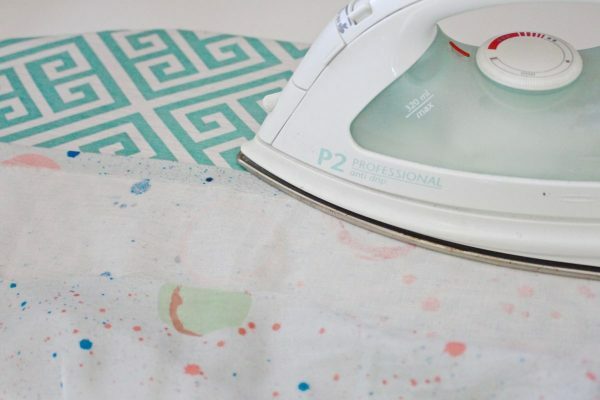 I bought it and knew that I had to do what I should have done with the original drop cloth… turn it into wearable art. 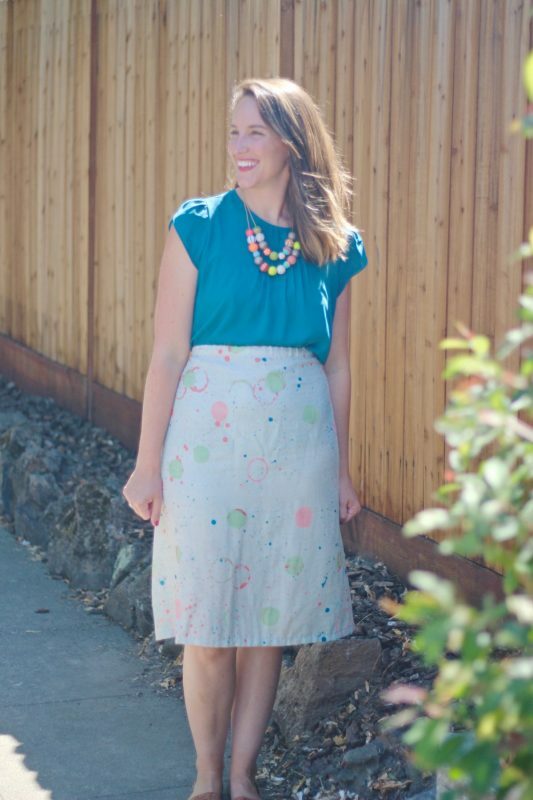 I used a simple a-line skirt pattern that I created several years ago. 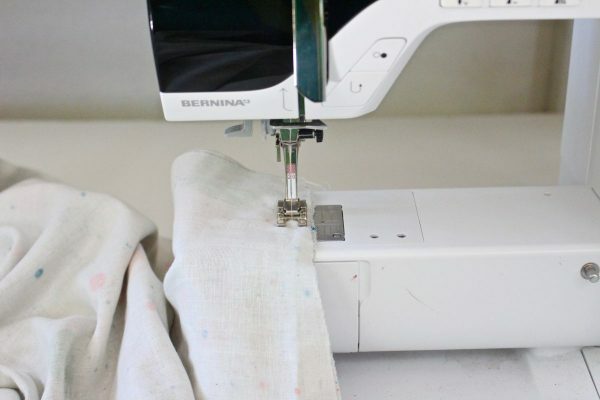 I love this pattern because since it’s based on your measurements so you can adjust it to any size and even use your child’s measurements to make it kid-sized. It’s also SUPER quick. I can make one in about an hour! 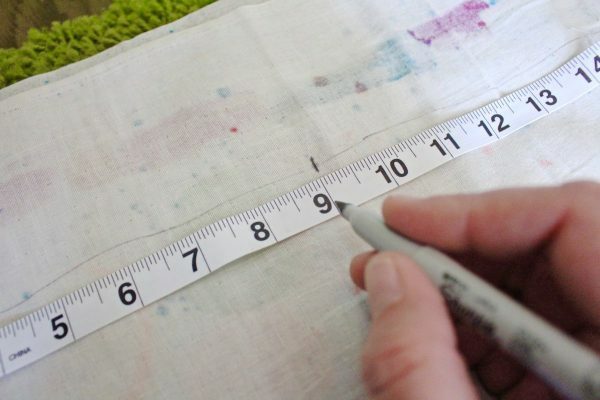 *We’ll start by taking our measurements to create our pattern. 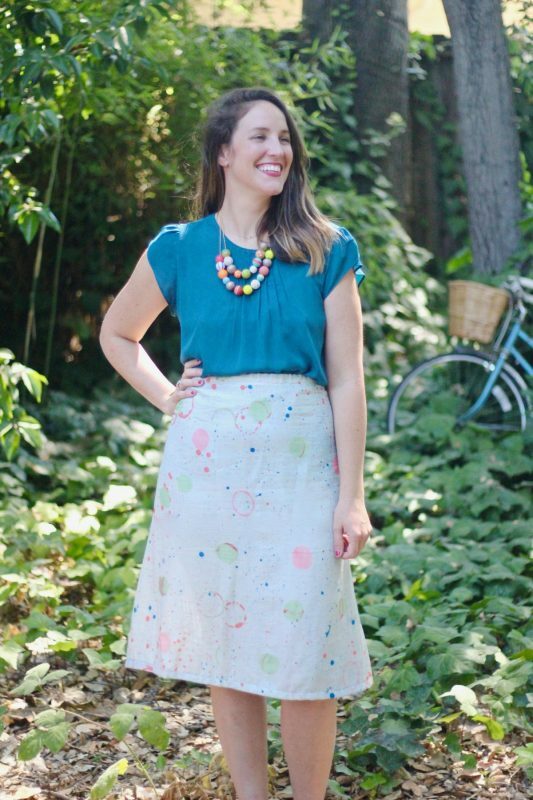 Although I didn’t make an actual pattern for my skirt, it’s a good idea to make one if you think you’ll want to make more than one skirt. 2. 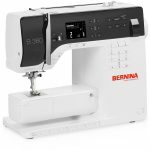 Find the measurement for B by adding 14 to A *For example: if B = 17 (A) + 14 so… B = 31 *If you want a full skirt or more room in the hips just add more than 14 inches to A. 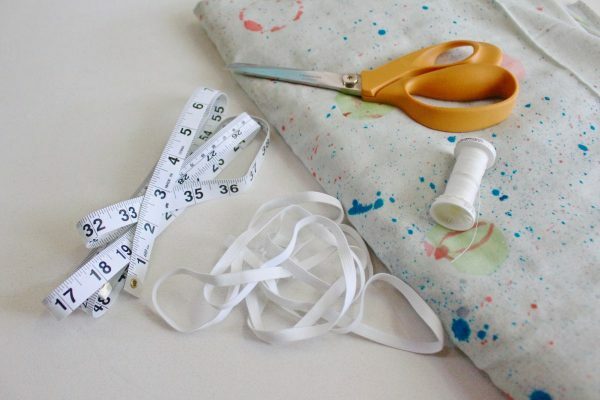 NOTE: If you’re creating a paper pattern follow steps 4-9 on paper then place the pattern on your fabric, trace it and cut out your fabric. 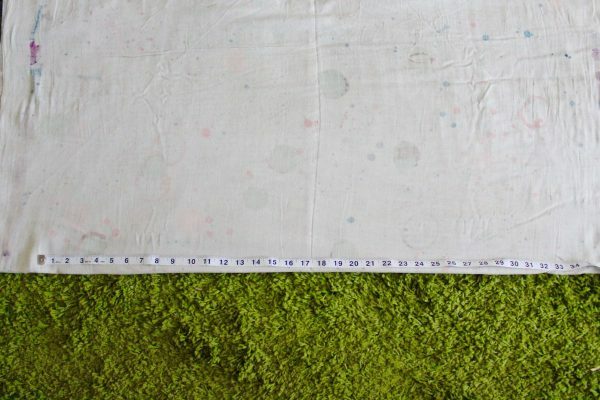 If you want to skip making a paper pattern (like I did) follow steps 4-9 and mark directly on your fabric. 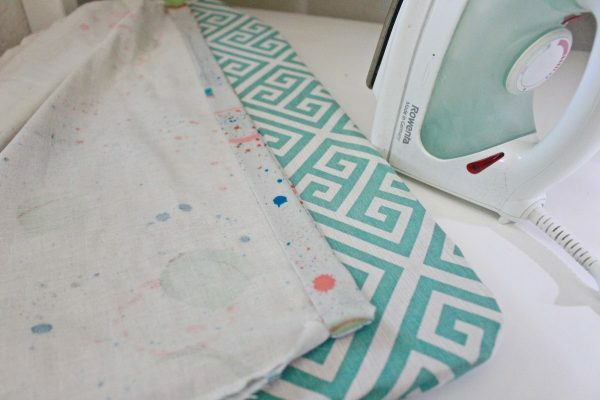 Be sure to wash and dry your fabric before you begin and always mark on the wrong (non-printed) side of the fabric. 4. 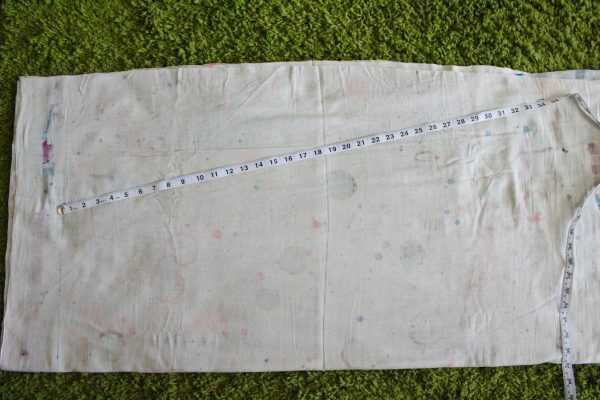 Draw a line at the bottom of the fabric the length of B. 5. 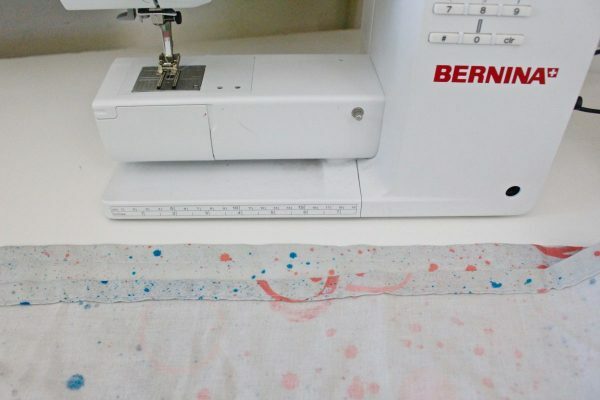 Fold the fabric in half widthwise to find the middle of B and use your fingers to create a crease down the length in the middle of B (this is the C area in the drawing). 6. Measure on the fold up from the center of B the length of C.
7. 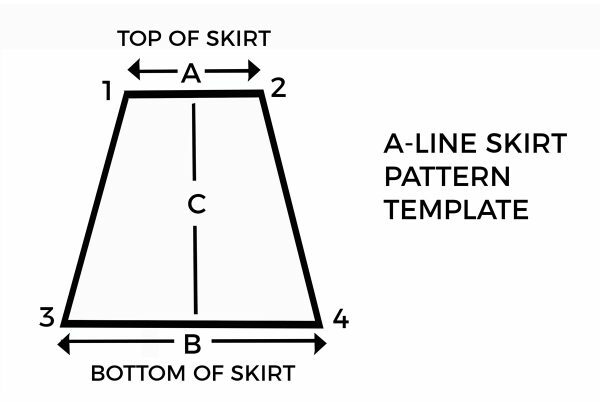 The top of your skirt will be at the top of C. Divide A in half (8.5 for the example) and draw half of A on one side of C and the other half of A on the other side of C. This will be the top of your skirt. 8. Using your tape measure, draw a slanted line connecting 1 and 3 do the same for 2 and 4. These will be the sides of your skirt. 9. 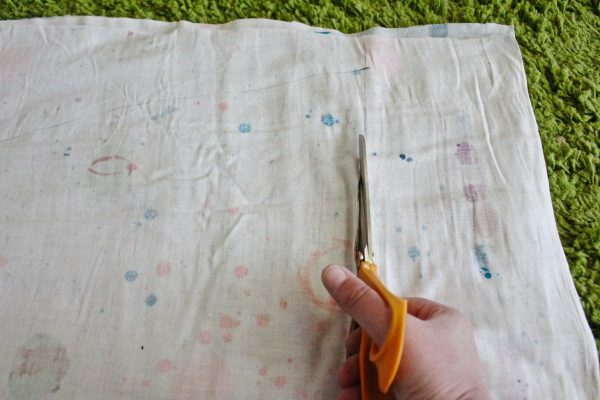 Cut out the fabric. 10. 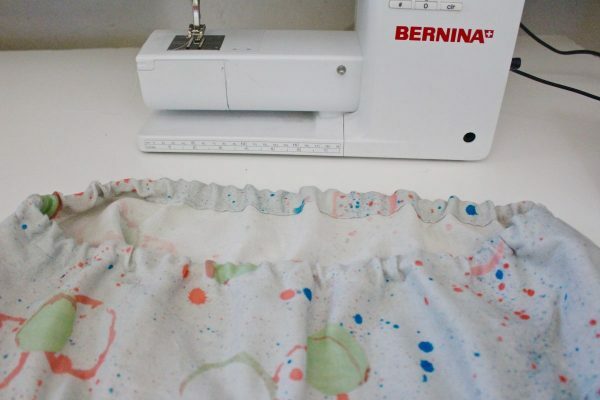 Sew down the length of the sides of your skirt using a straight stitch. 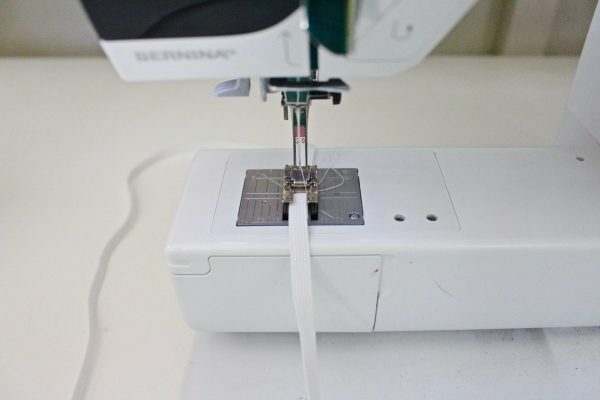 Your stitches will connect 1 and 2 and 3 and 4. 12. 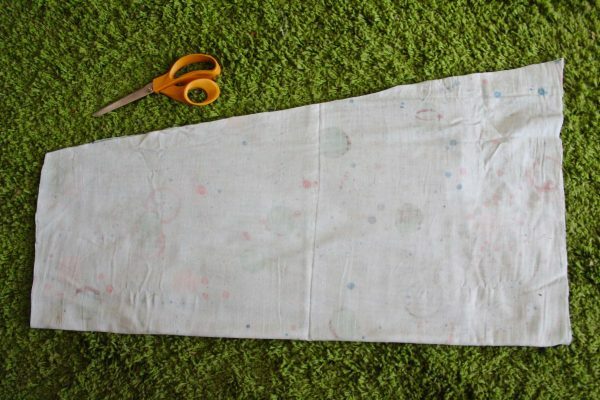 Fold down the top of your skirt 1″ and iron. 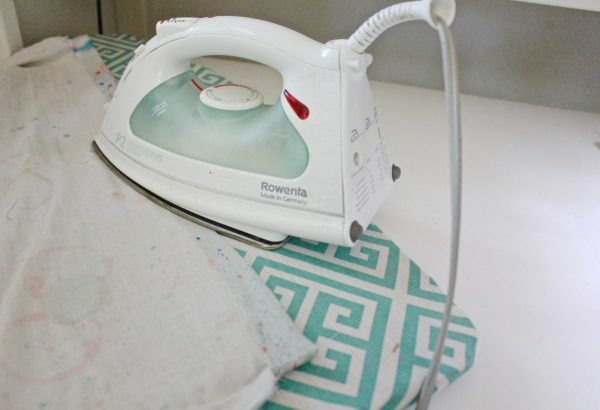 Then fold over one more time 1″ and iron again. 13. 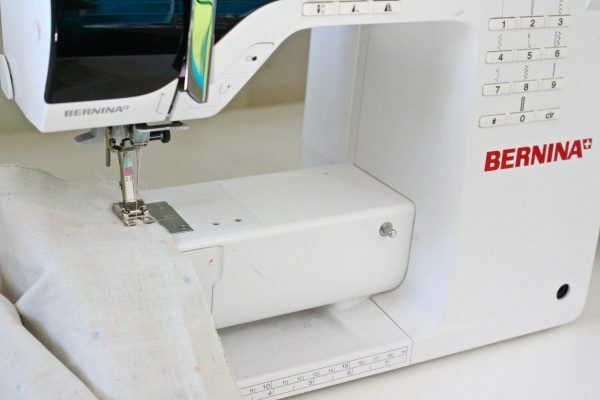 Insert the elastic in the channel you created when you folded and ironed. 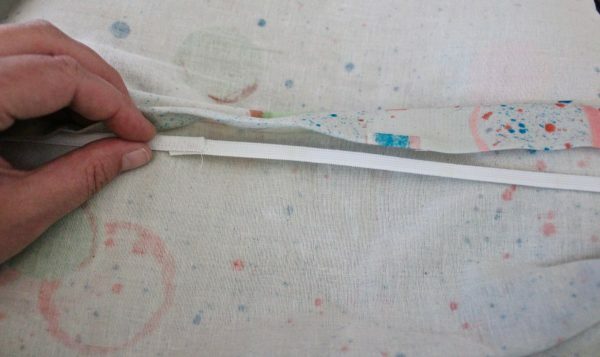 Then sew over the top fold with the elastic inside the channel. 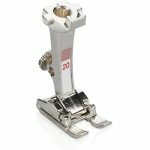 Be sure to push the elastic to the top of the channel so you don’t sew through it and it can freely move in the channel. 14. 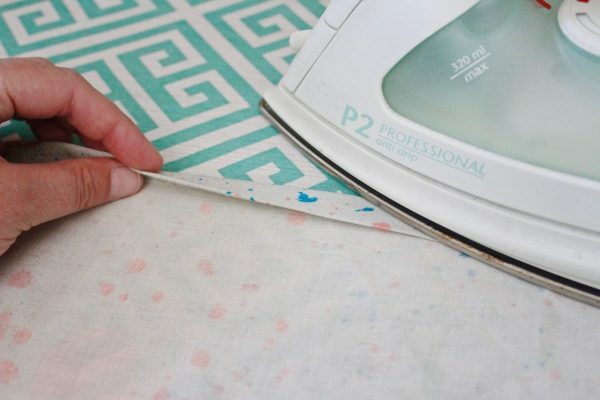 To create the bottom hem, fold the bottom of the skirt over 1″ and iron then fold it over 1″ one more time and iron again. 15. 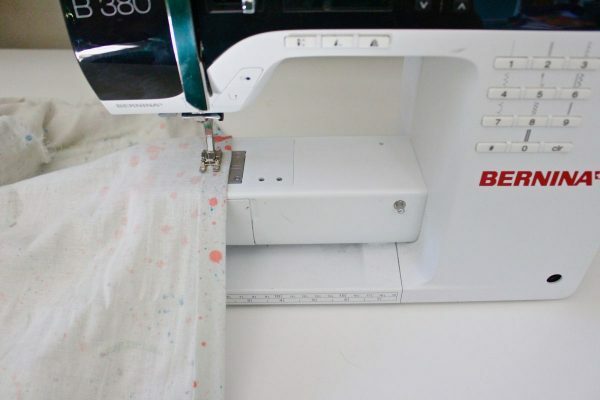 Sew the bottom hem.